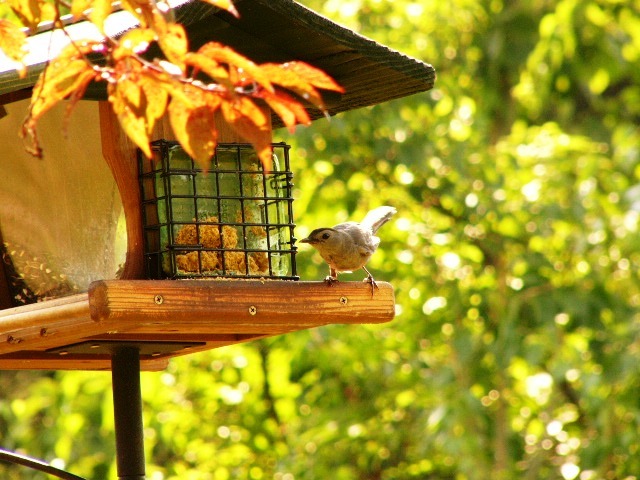 Just an hour to watch the birds while eating breakfast and reading the paper before heading to the store. 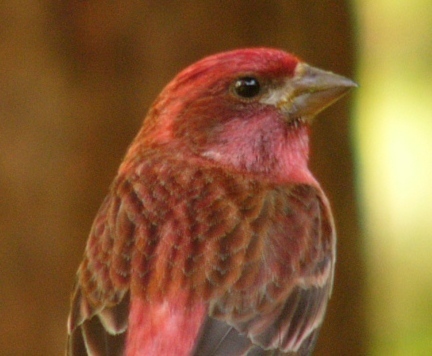 It was a fairly quiet bird morning with the greatest activity from the Purple Finches. 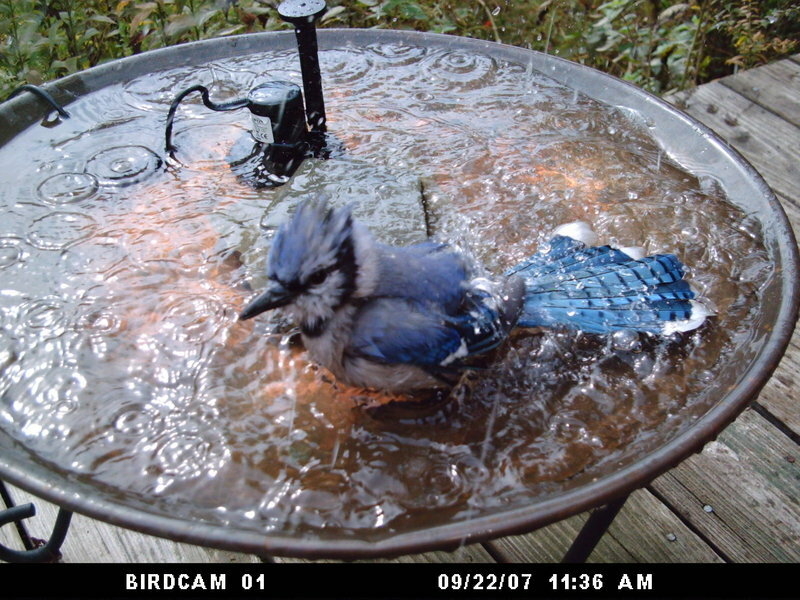 Later in the day, the BIRDCAM caught images of jays, doves, and goldfinches at the birdbath. Here's a jay bathing amongst the raindrops. 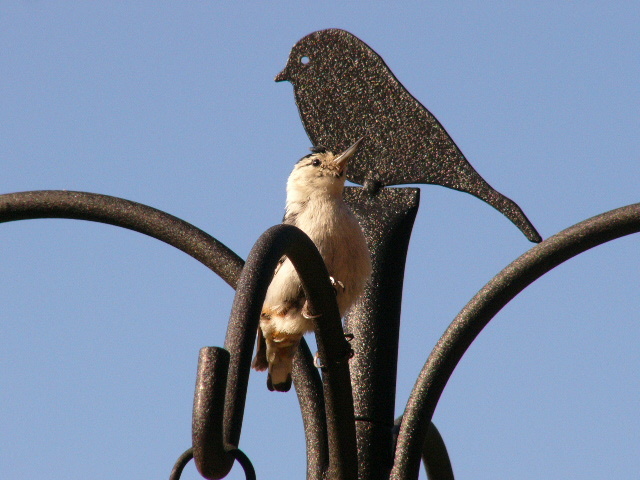 More on my BIRDCAM in a future post...stay tuned. I haven't had a One Hour, One Window post for awhile, so here goes. I actually only had 1/2 hour this morning before heading out to the store. 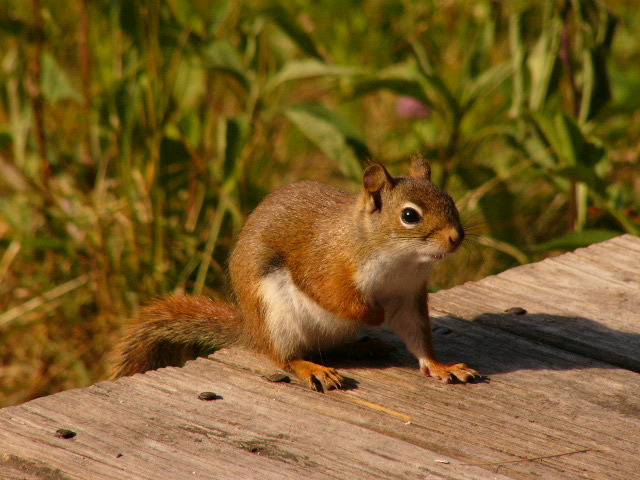 And lots of chipmunks and Red Squirrels, one who was nice enough to pose for a picture! What do you see in One Hour from One Window at your home? 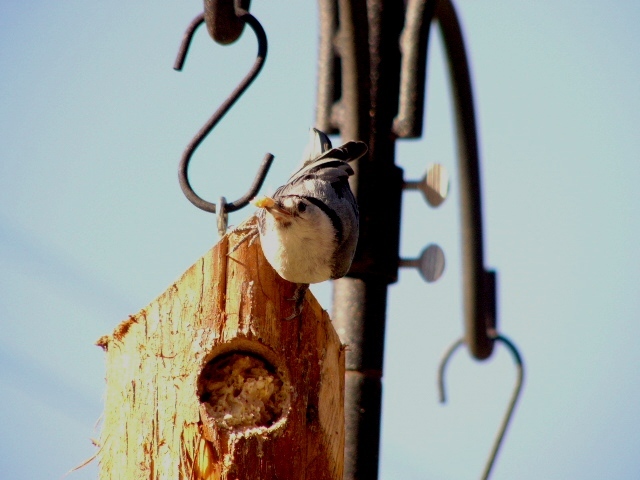 This is my 2nd edition of "One Hour, One Window", a recap of the birds I observed within just a One Hour period of time through One Window (alright, one side) of the house. And our special guest, a Northern Goshawk! 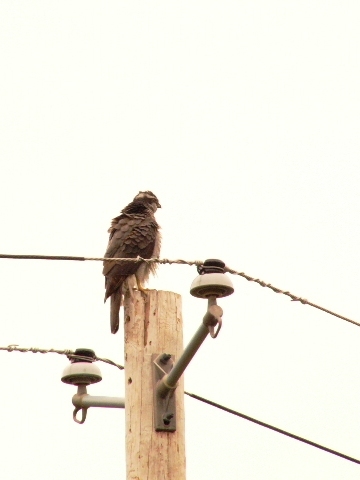 The goshawk showed up on the power pole twice within a 10 minute period of time. Couldn't get the digiscope set up in time though. This is one big bird! 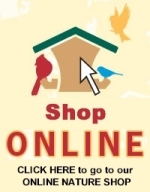 Find out more at WBU's rightbird Online Field Guide. Share your "One Hour, One Window" observations anytime on The Zen Birdfeeder! I only had an hour or so to watch the birds today before heading to the store. But things were active! It's amazing all you can observe in a short period of time over Starbucks Sumatra coffee and a bowl of Honey Nut Cheerios. So today's post will be the first of a new recurring post that I'll call "One Hour, One Window". 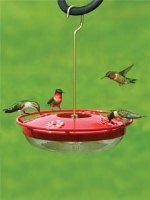 I'll share the birds and bird behavior observed during a One Hour time period from inside my house through just One Window. The Nashville Warbler has been here a couple days, and this morning was gleaning insects off the leaves of the rosa rugosa. The Nashville is bright yellow underneath from throat to belly, greyish head, olive back, white eye ring, and no wing bars. I did get a view of the chestnut cap which is described as sometimes hard to see. Interesting factoid: despite its name, the Nashville Warbler does not breed in Tennessee. 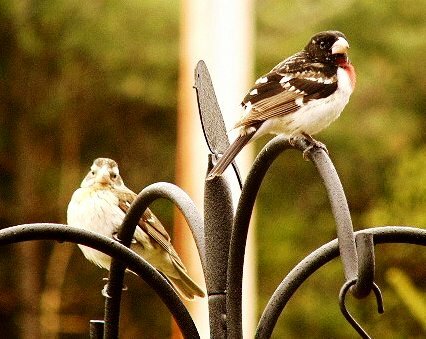 We welcomed the return of the Rose-breasted Grosbeak. Both male and female fed from the tray feeders. The characteristic "mew"-call alerted me to the presence of the catbird; sure enough, a pair were sighted in the corner of the yard. What a great morning! Its amazing all you can see in a short period of time when you just look and listen to the nature in your own yard. Let me know what you see in "One Hour, One Window"!